John Rains takes a pragmatic, efficient approach to the representation of both plaintiffs and defendants in complex litigation. 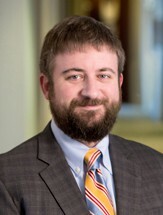 By focusing on battles that can be won, and minimizing the time and effort spent where it will not be to his clients’ advantage, John provides high quality representation in cases involving attorney and accountant professional liability, the False Claims Act, commercial contracts, and business torts. Defends national and Atlanta-based law firms in professional liability actions. Represented former clients of a “Big Four” accounting firm in a professional malpractice and fraud action arising from the accounting firm’s advice to the clients to utilize tax strategies that resulted in hundreds of millions of dollars in damages. After the court denied the defendant’s motion for summary judgment and one week before it was set to go to trial, the case settled. Successfully defended a major regional accounting firm from professional malpractice, fraud, and RICO claims, winning summary judgment on all counts. The trial court’s summary judgment order was affirmed on appeal. Part of a team of Bondurant Mixson lawyers who represented the first-to-file relators in a case against a leading pharmaceutical company, Allergan, that resulted in a $225 million civil recovery (as part of an overall settlement of $600 million) for the U.S. government and a multi-million-dollar relator-share for the firm’s clients. The civil settlement is one of the two largest False Claims Act civil recoveries to date in the Northern District of Georgia, and the combined civil-criminal settlement is the largest in the district’s history. Represented a relator in an intervened qui tam against a medical billing company that resulted in a civil settlement of $1.95 million. Sought and received interlocutory appellate review of an order denying a motion to dismiss an activist bondholder lawsuit seeking to avoid tens of millions of dollars in alleged fraudulent transfers. The Eleventh Circuit reversed the trial court’s denial of the motion to dismiss, and directed that the lawsuit be dismissed on remand. Obtained a sweeping consent permanent injunction under the Georgia RICO Act on behalf of a client against a former employee in a commercial bribery case. Regularly represents a Fortune 50 retailer in business tort, breach of contract, and intellectual property disputes involving the company’s merchandise supplier relationships. Represented former officers and directors of a publicly-traded company in obtaining a dismissal of a federal securities fraud class action arising from alleged antitrust and FDA regulatory violations. Won a six-figure arbitration award for two homeowners in a residential construction dispute after a three-day hearing. John handled the entire matter himself, through confirmation of the award. Obtained summary judgment for a client sued for libel by a former Georgia gubernatorial candidate. The lawsuit was covered in the Atlanta Journal-Constitution, Fulton County Daily Report, and Huffington Post. John briefed and argued the summary judgment motion. Briefed and argued a successful appeal in the Eleventh Circuit for a federal employee in a Title VII case. The Eleventh Circuit’s published decision announced a new procedural rule in this Circuit in federal employee discrimination cases. See Ramirez v. Secretary, Department of Transportation, 686 F.3d 1239 (11th Cir. 2012). Along with another Bondurant Mixson associate, successfully represented a Georgia prisoner in an Americans with Disability Act and §1983 action. After thwarting the state’s efforts to exclude the client’s expert witnesses and defeating multiple dispositive motions, obtained a monetary settlement for 100 percent of the client’s demand as well as significant non-monetary relief going forward. John Rains Recognized as AVLF "Safe and Stable Homes Volunteer of the Year"
John Rains and Emmet Bondurant Featured in Atlanta Journal-Constitution Podcast Series "Breakdown"